What is the UPS Underground Newspaper Collection? 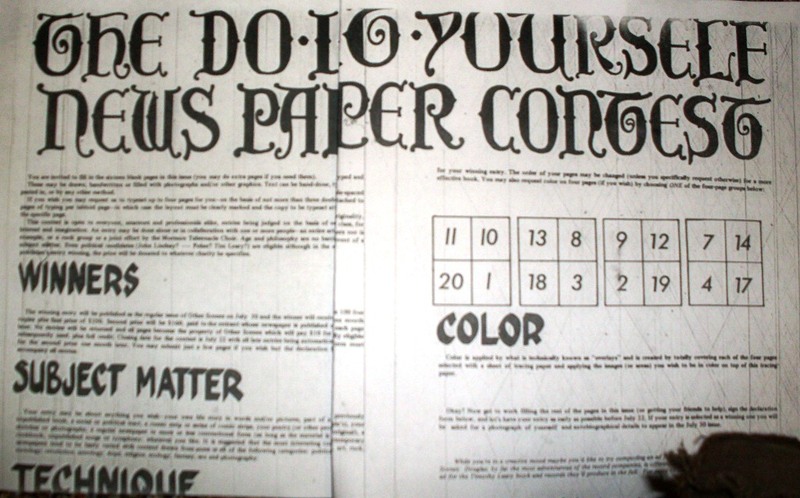 Underground Newspaper Collection: 1960s Counterculture: What is the UPS Underground Newspaper Collection? 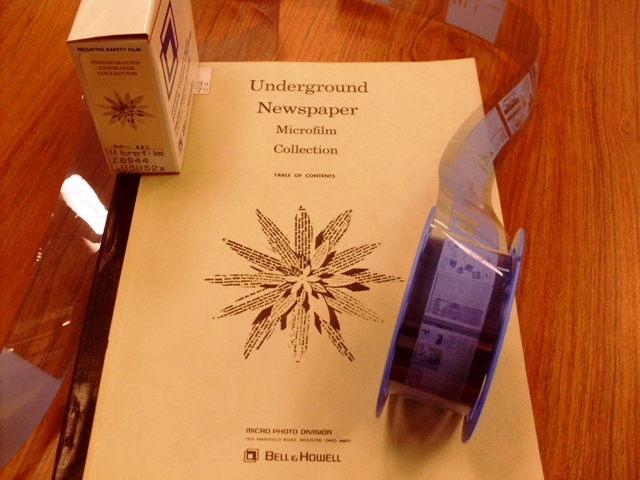 This is a guide to the Underground Press Syndicate's (UPS) Underground Newspaper Collection on microfilm. 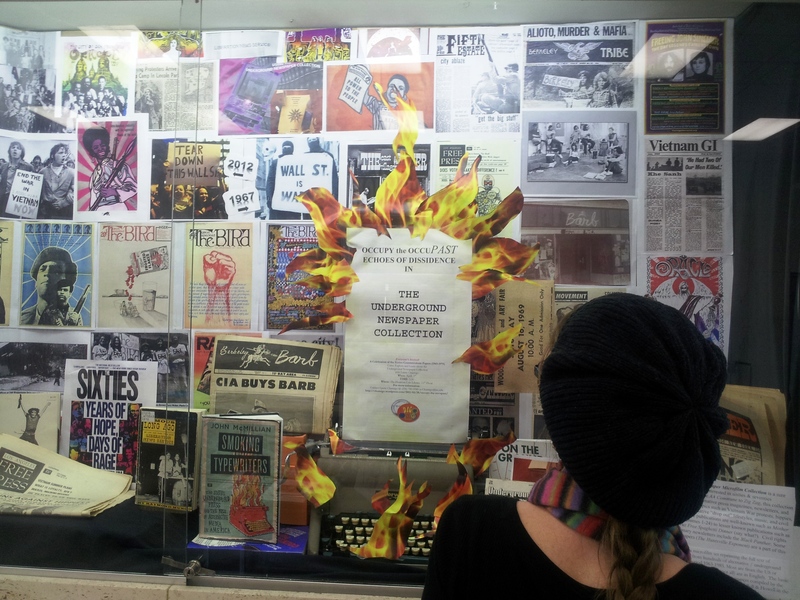 This collection includes over hundreds of 1960's counterculture newspapers. What They're Up to Now! What is the Underground Newspaper Collection? The Underground Press Syndicate (UPS) Underground Newspaper Collection is a sure treasure trove for those interested in sixties & seventies counterculture. From the AA Commune to Zig Zag, this collection of over 500 small, alternative press magazines, newsletters, and bulletins centers on topics such as Vietnam War protests, hippies, vegetarianism, alternative “drop out” lifestyles, music, and civil rights. 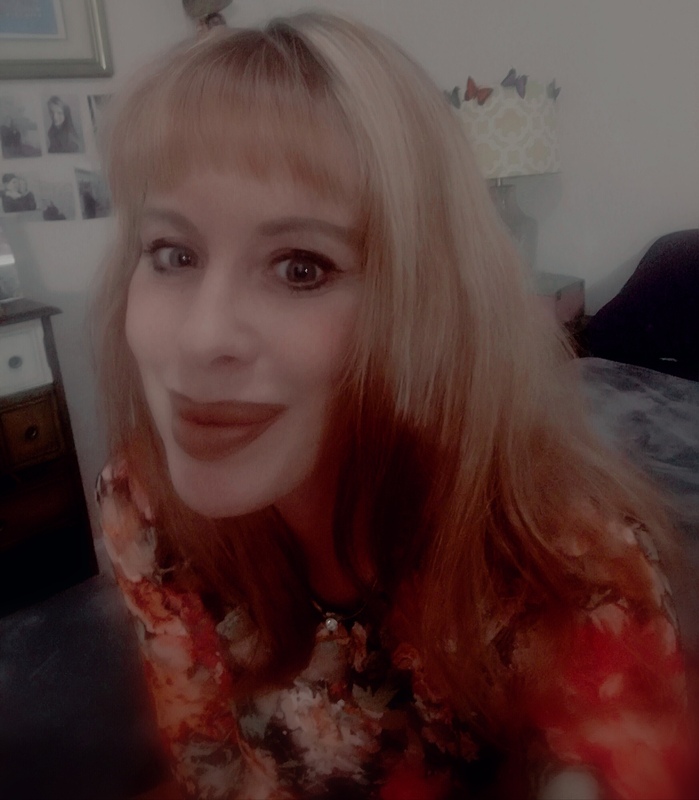 Some of the publications are well-known such as Mother Earth News (volumes 1-24) to lesser known publications such as the Santa Cruz Free Spaghetti Dinner (say what?). 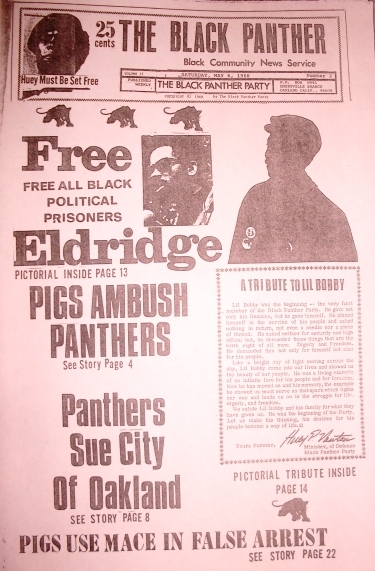 Civil rights and revolutionary newsletters include the Black Panther. Some student newspapers (The Huntsville Exponent) are a part of this collection. 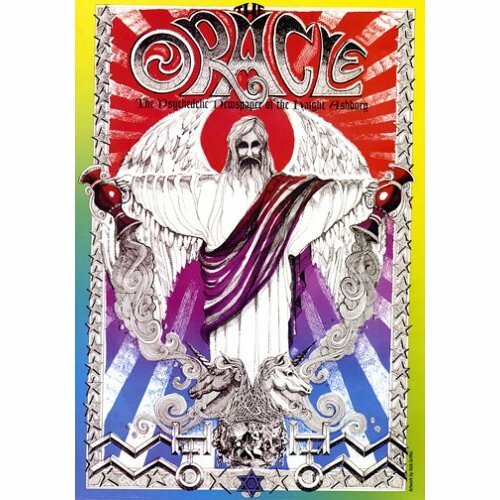 Journals, such as The San Francisco Oracle, capture the essence of sixties counterculture with beautiful and original artwork, poetry, and essays. Many of these publications had small lifespans. A random ‘Google search” for different titles reveals that some publications have completely disappeared, not even leaving a trace in that digital heap of just about everything (the Internet). 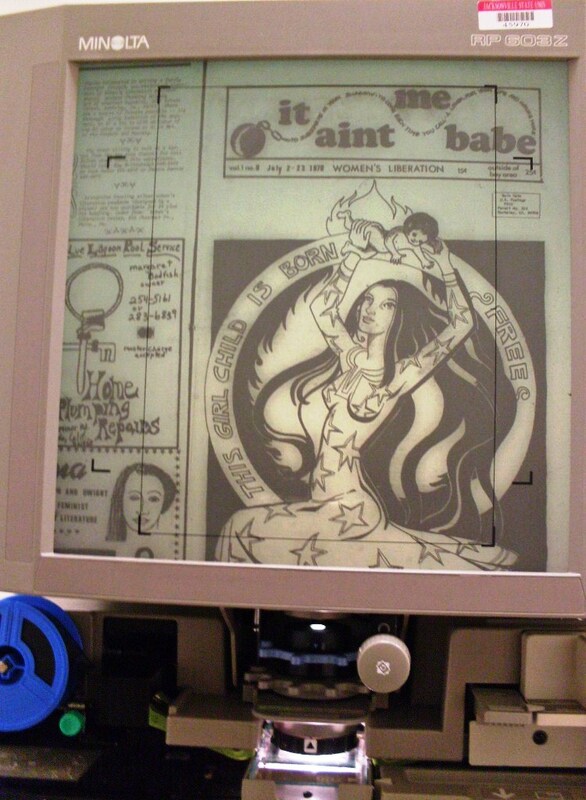 Luckily, for those interested in sixties and seventies counterculture, music, and civil rights, many academic libraries house the Underground Newspaper Microfilm Collection. This collection might also provide unique primary resources for students and faculty working in sociology, history, literature, music, drama, and art. 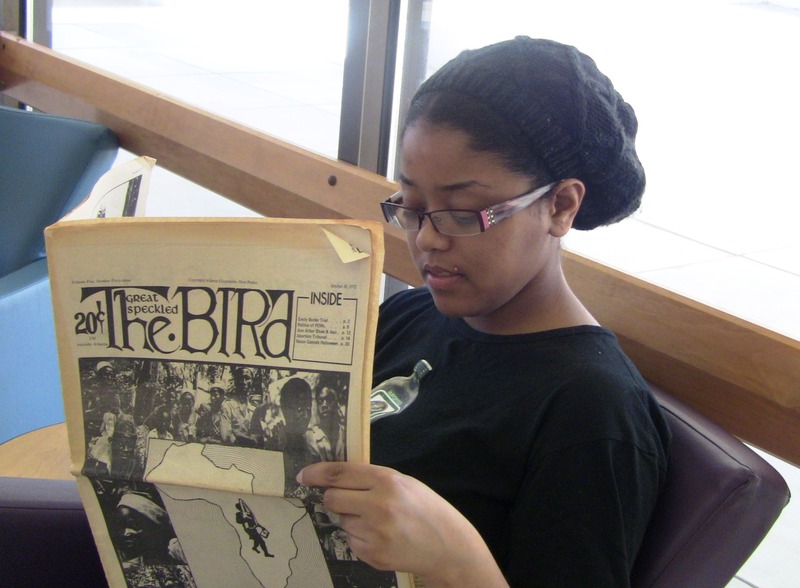 The Underground Newspaper Collection is located with the 2nd floor microfilm; call number Z6944.U5U53X. 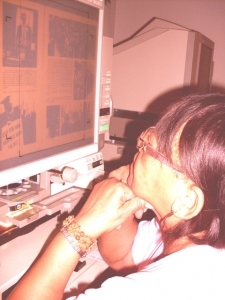 Although there is not an index to the individual newspapers, use the Underground Newspaper Microfilm Collection Table of Contents to look up a publication (in alphabetical order). 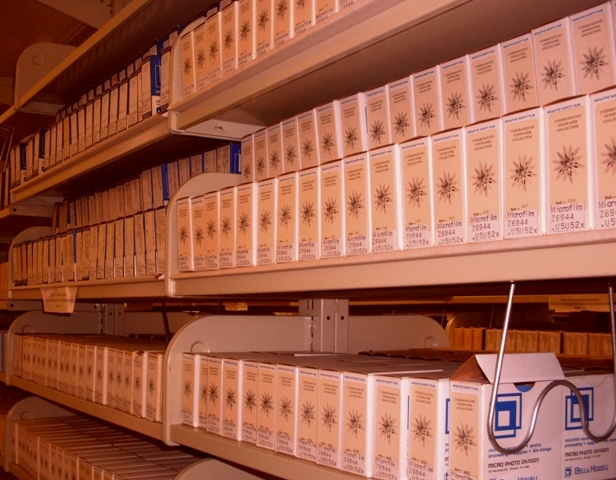 This book indicates microfilm reel numbers for locating specific newsletters. 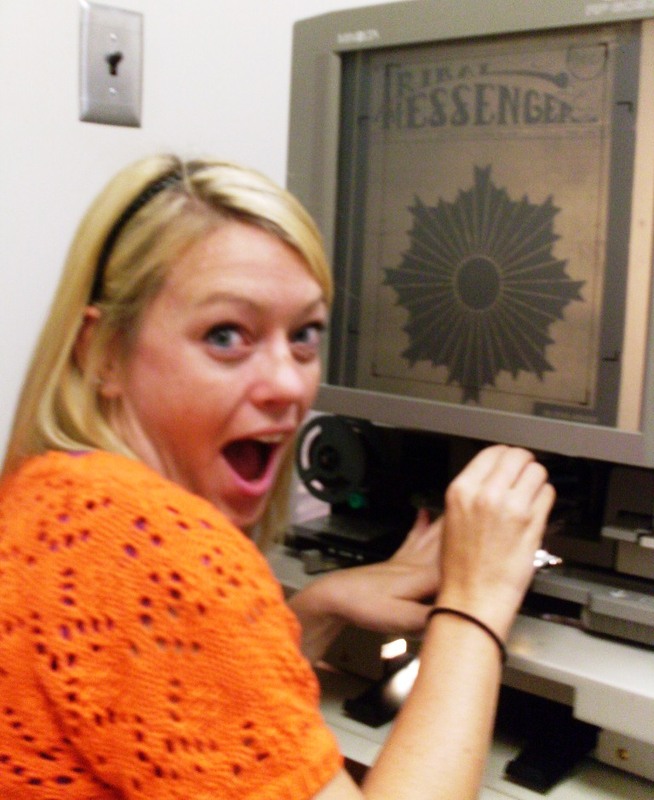 Microfilm can be viewed on the 2nd floor microfilm machines and printed out. Print outs are 15 cents per page. 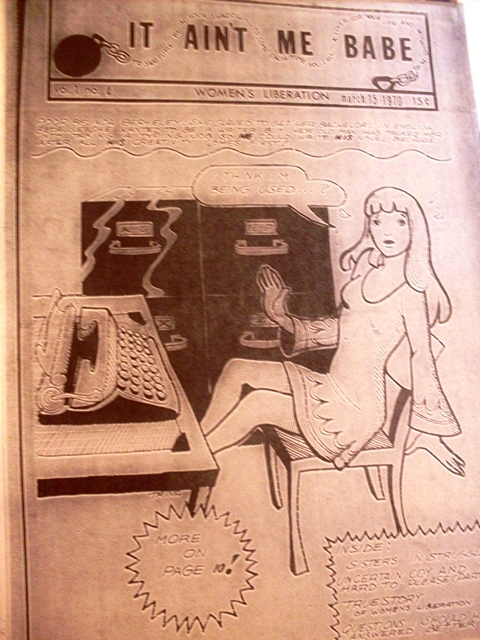 To learn more about the history of the Underground Press Syndicate (UPS) Underground Newspaper Collection, please read my essay "Occupy the OccuPAST: Echoes of Dissidence in the Underground Newspaper Collection. See this Wikipedia article "Underground Press" which lists many of the underground counterculture newspapers which are available in the UPS Underground Newspaper Collection.